Cyclists, skiers, runners, motorcyclists and adventurers take note – this little device might just save your life. 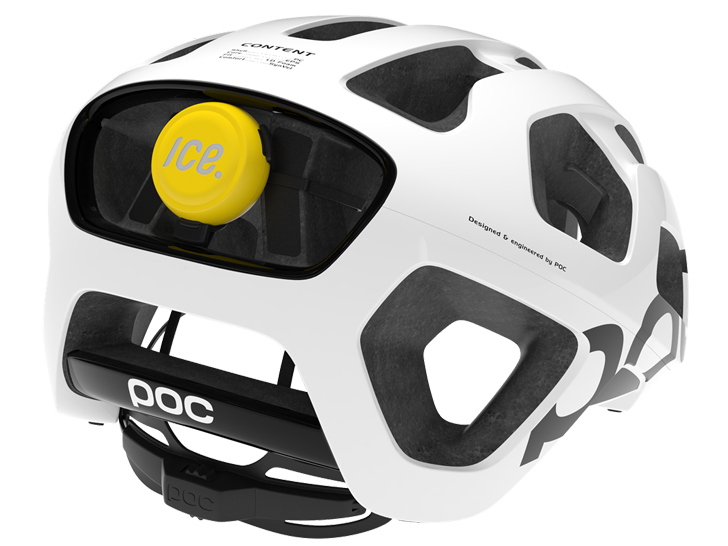 The ICEdot is a crash sensor you wear on your helmet or body and can tell if you take a major fall. Working in conjunction with an app on your phone, the sensor will alert your loved ones and emergency responders of your exact location if you are unresponsive. When responders arrive, they can simply place a text to get detailed medical information about the victim. This is great combination of wearable technology and smart apps that can get you the medical attention you need right away. The ICEdot safety system for athletes and outdoor enthusiasts to protect them in case of emergency with an online platform to help identify you to emergency responders. Bands and stickers worn on your wrist, body or clothes feature a personalized identifier. When a paramedic or other emergency responder come to help you, they can follow the directions, which alert them to text the ICEdot system and enter your identifier. The ICEdot system will sent a respond text with your emergency information stored in an online ICEdot profile. While it was designed originally for athletes and adventurers, the system could be used by anyone and is especially handy if you are incapacitated and cannot respond for yourself. Recently the company debuted the Crash Sensor, which is a motion sensor that affixes to your helmet and can detect motion, impact and force, much like Reebok’s Checklight Device. In the event a crash, the sensor will work with your smart phone app over low-energy Bluetooth and begins sounding an alarm. If you are ok and not hurt, you can turn off the alarm through the phone, but otherwise, the emergency countdown will begin and at a certain point it will alert your chosen network of friends and emergency personnel. ICEdot will also send GPS coordinates so you can be located, whether you are out road biking, hiking on a trail or running in a race. The ICEdot system offers a variety of products for you to use including the Crash Sensor, bracelet, snap buttons or stickers that can be worn or placed on items you carry with you. As the system becomes more widespread and utilized, it will increase your safety even more. Cyclists, skiers, runners, motorcyclists and adventurers take note - this little device might just save your life. The ICEdot is a crash sensor you wear on your helmet or body and can tell if you take a major fall. Working in conjunction with an app on your phone, the sensor will alert your loved ones and emergency responders of your exact location if you are unresponsive. When responders arrive, they can simply place a text to get detailed medical information about the victim. This is great combination of wearable technology and smart apps that can get you the medical attention you need right away.